Buzz and Woody in Los Angeles Ca. Nestled on a quaint street in the Valley of Los Angeles, this adorable home was nothing but perfect. I LOVE LA so much! 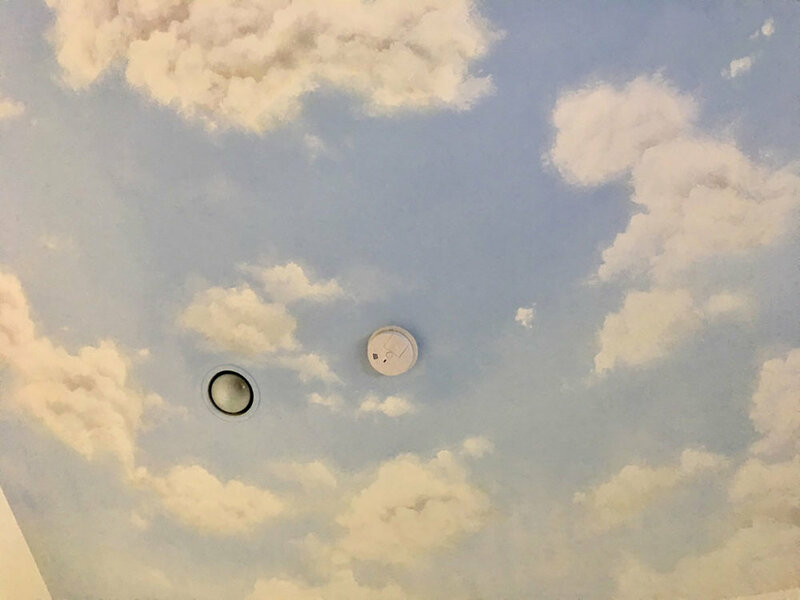 I painted this room for the little Harvey brothers Noah and Ezra. The room had a classic eclectic style to it with hardwood floors, crisp white walls, and good furniture by AFK. 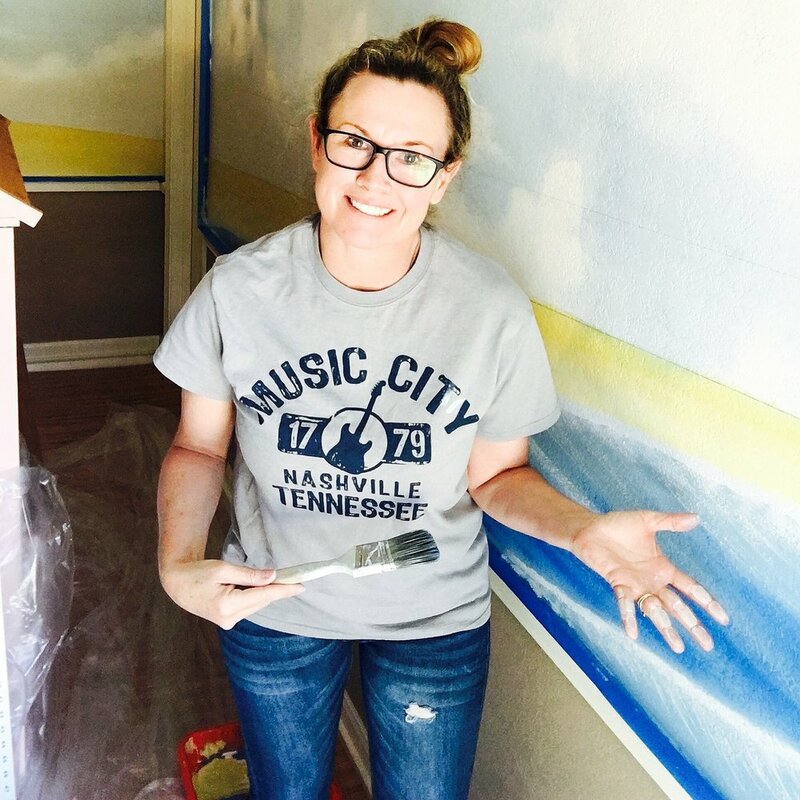 So I chose a clean crisp soft blue for the blue on the ceiling, then added cream, gray, and white for the clouds. 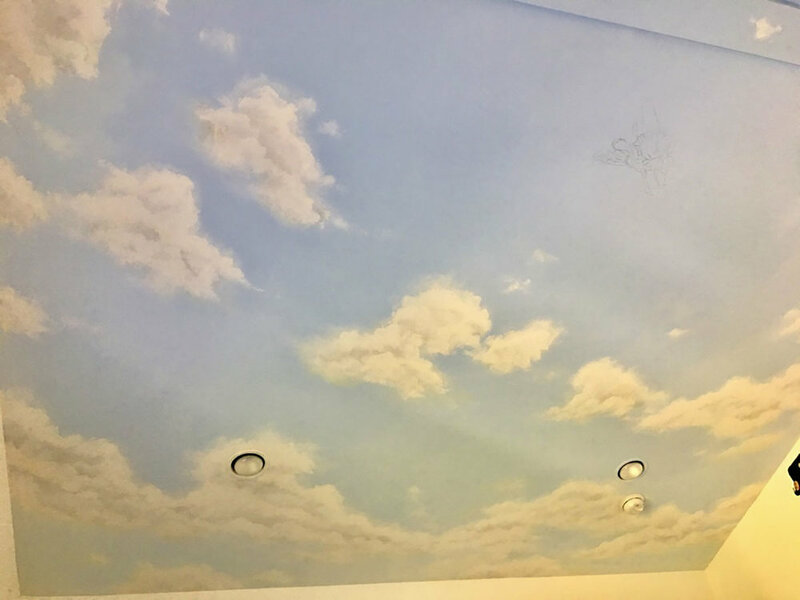 With an A frame ceiling, they had a lot of light coming into the room, so I chose a pretty nautical blue and used my go to white (polar bear) by Behr for the clouds. 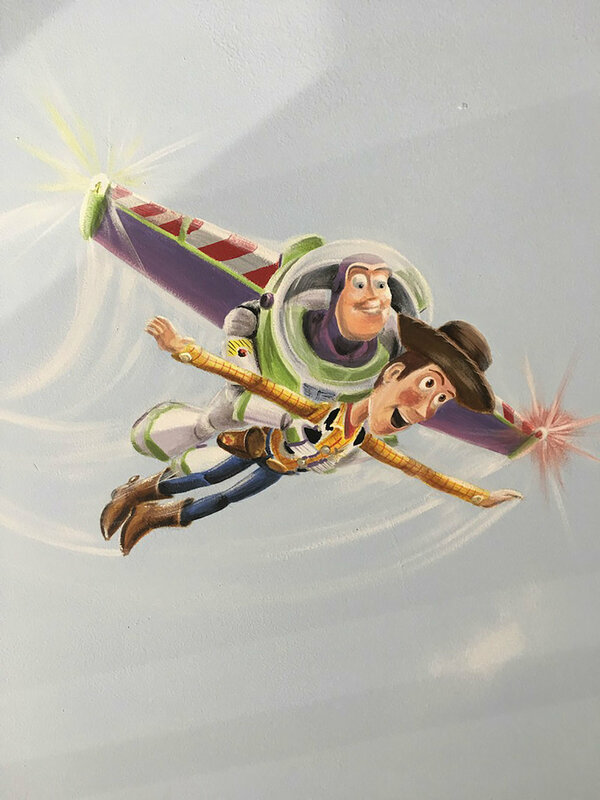 No better way to top off this ceiling then with Buzz and Woody themselves. So fun and adorable! They loved it and it really added a fun element to the room. One of my favorite rooms and the Harvey’s were incredible hosts!